Although the mainstream media (MSM) is firmly committed to the proposition that that the entire world has the right to immigrate to the US at taxpayer expense, conservatives have increasingly raised their voices in opposition to this practice. This installment of Immigration, Citizenship, and the Bible (ICB) is an attempt to examine various conservative arguments for immigration reform in light Gordon Clark’s Scripturalism, the system of thought that asserts the Bible and the Bible alone is the Word of God and is the textbook to prepare the man of God for every good work, including the good work of immigration reform. My critique of conservatives is presented here in the form of a review of Alien Nation: Common Sense About America’s Immigration Disaster by Peter Brimelow. Freedom and Capitalism: Essays on Christian Politics and Economics by John W. Robbins (The Trinity Foundation, Unicoi Tennessee, 650 pages, 2006), $29.95 (E-Book $10.00). “Brevity, clarity, and profundity are three virtues missing from the modern world,” wrote John Robbins in the introduction to his commentary on Philemon, (Christianity & Slavery, 7). But while these admirable qualities are missing from the works of most contemporary writers, such is not the case with Robbins’ work. 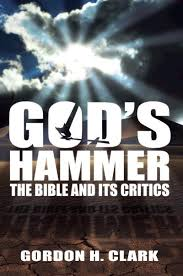 This reviewer has long been of the opinion that one can get more sound theology and philosophy from reading a single short essay by the late Dr John Robbins that he can get from entire shelves full of books by other authors. In Freedom and Capitalism, Robbins once again displays his remarkable talent for presenting profound ideas in a compact and readable package. Robbins, who is likely well known to followers of this blog as the founder and former president of The Trinity Foundation, held a Ph.D. in Political Philosophy from The Johns Hopkins University and worked on the staff of Congressman Ron Paul of Texas, serving as Paul’s Chief of Staff from 1981-1985. He was also an active lecturer and writer. Concerning the latter, Robbins commented in his introduction to Capitalism and Freedom that, “Over the past 40 years, as a student (high shcool, college, and graduate) and adult, I have written hundreds of essays, articles, and letters-to-the-editor” (9). This book represents a collection of thirty-one of articles, all but four by Robbins, on the subjects of politics and economics. Epistemology: The Bible tells me so. Soteriology: Justification is by belief alone. Metaphysics: In Him we live and move and have our being. Ethics: We ought to obey God rather than men. Politics: Proclaim liberty throughout the land, unto all the inhabitants thereof. The Atonement by Gordon H. Clark (Jefferson, MD: The Trinity Foundation, 1987, 163 pages), $8.95. Chapters Include: Introduction on Method; The Doctrine in its Simplicity; The Covenant of Redemption; The Covenant of Grace; The Incarnation; The Virgin Birth; The Human Nature of Christ; The Purpose of the Incarnation; Active Obedience; The Covenant of Works; The Vicarious Sacrifice; Expiation; Propitiation; Satisfaction; Federal Headship; Absolute Necessity; Traducianism; The Sovereignty of God; The Extent of the Atonement. A few years back, American Express ran a television advertisement that featured the story of a man who visited Norway thinking he was going to see the land of his ancestors only to find upon arrival that he actually was of Swedish descent. Or perhaps it was the other way around. At any rate, he wasn’t who he thought he was. I had a similar experience when I first began to study theology. As I worked through a book on systematic theology with a very generous and learned reformed Baptist pastor, I found, much to my surprise, I was an Arminian. This was particularly shocking to me, as I had never so much as heard the word before, let alone realized I was one. In truth, my experience wasn’t so unusual. Such is the dominance of Arminian theology in American Evangelical churches that Arminians generally are unaware of their Arminianism. It’s taken for granted that Christ died for all men, and little or no serious thought is given to an alternative. When the doctrines of grace, what we would call Calvinism, are discussed, many folks raised in the broad evangelical church are shocked and offended that someone actually could believe that God does not love all men, that some are in fact reprobate and fitted for destruction, and that this is the historic teaching of the Reformation. The Creature from Jekyll Island: A Second Look at the Federal Reserve, 5th Edition by G. Edward Griffin (Westlake Village, California, 608 pages, 2010), $19.44. “The most boring question in the world,” announced the accounting professor to my B-School class, “is whether the government should have bailed out the financial system in 2008.” In his eyes, the answer was an obvious yes. End of story. But that struck me as a rather odd stance. For the question, to bailout, or not to bailout? seemed to me to be among the most fascinating topics imaginable in the field of finance and accounting. And in truth, any answer one could give would have to go well beyond finance and accounting, touching upon the basic philosophical disciplines of politics, ethics, and ultimately epistemology. Further, any answer given would go a long way to telling you something about the man himself. So no, it was not a boring question at all. That is, unless you’re interest is in perpetuating the status quo, in which case you would prefer that it not be asked at all. I have elected to introduce my review of G. Edward Griffin’s The Creature from Jekyll Island [hereafter, the Creature] by way of this personal account, because it illustrates perfectly the sort of close-minded contempt that emanates from the financial mainstream toward anyone who dares question its reigning orthodoxies. Examples of these nostrums are: Central bank issued fiat currency is good, but the gold standard is a barbarous relic, the money supply cannot be left to the free market, it must be a function of a government appointed central bank; banks are not like other businesses, they must be chartered, regulated, and, if needed, bailed out by the government using taxpayer funds. None of these orthodoxies is true, for none can be supported from Scripture. Yet they are accepted by politicians, academics and ordinary folks alike almost without question. It is incapable of accomplishing its stated objectives. It is a cartel operating against the public interest. It is the supreme instrument of usury. It generates our most unfair tax. It is an instrument of totalitarianism. The Eccles Building, the Washington D.C. headquarters of the Federal Reserve. At this point one may by asking himself, why is it that Christians should care about the obscure workings of the Federal Reserve System [hereafter, the Fed]? Why not just leave banking to the bankers and get on with more important matters? After all, talking about money doesn’t seem very spiritual. And doesn’t the Bible say that money is the root of all evil? Wouldn’t it be best simply to leave the whole matter alone and focus on the Great Commission instead? Taking these objections in reverse order, let us consider what Christ commanded in the Great Commission. What did Jesus say to his followers? Go into all the world and teach the five fundamentals? No. Christ called his disciples to go into all the nations and to teach, “them to observe all things that I have commanded you.” The Great Commission includes all of Christ’s teachings. And since there is no field of endeavor not covered by Christ’s teachings,, all statements of all men in all areas of study, including banking, finance, and accounting, must be brought back to Scripture and judged by it. Therefore banking is a proper field of Christian study. God and Evil: The Problem Solved by Gordon H. Clark (Unicoi, Tennessee: The Trinity Foundation, 91 pages, 2004) $5.00. Responding to president Bush’s proposal to allow public schools to teach intelligent design along with Darwinism, veteran political commentator Daniel Schorr remarked, “[Bush] might well have reflected that, if this [Hurricane Katrina] was the result of intelligent design, then the designer has something to answer for.” From a Christian perspective, this comment is a bit off the mark. For Christians do no not, or at least ought not, argue for intelligent design. Creationism – the doctrine that God created all things of nothing, by the Word or his power, in the space of six literal days, and all very good – is the proper Biblical stance. Nevertheless, Schorr’s statement certainly does apply to creationism. In fact, Schorr’s argument is really more of a problem of the creationist than it is for the proponent of intelligent design. Writing in his 2006 book Letter to a Christian Nation, atheist evangelist Sam Harris was even more pointed in his criticism of Christians than was Schorr. Examples of God’s failure to protect humanity are everywhere to be seen. The city of New Orleans, for instance, was recently destroyed by a hurricane. More than a thousand people dies; tens of thousands lost all their earthly possessions; and nearly a million were displaced. It is safe to say that almost every person living in New Orleans at the moment Hurricane Katrina struck shared your belief in an omnipotent, omniscient, and compassionate God. But what was God doing while Katrina laid waste to their city? Surely He heard the prayers of those elderly men and women who fled the rising waters for the safety of their attics, only to be slowly drowned there. These were people of faith. These were good men and women who had prayed throughout their lives. Do you have the courage to admit the obvious? These poor people died talking to an imaginary friend (52). will find himself in the happier position of the man who brought a gun to a knife fight. The opposition won’t have a chance. The Incarnation by Gordon H. Clark (Jefferson, Maryland: The Trinity Foundation, 91 pages, 1988), $8.95. is a noteworthy book. First, it is Gordon Clark’s final publication, written at the very end of his life and published posthumously. Second, it is a masterpiece of logical reasoning and clear writing. As if to prove correct the psalmist’s comment about the righteous, that they “still shall bear fruit in old age,” Clark’s thinking is just as acute in this book as at any time in his long and distinguished career. Third, it is brief. At 91 pages, it makes for a short it can be read in a single sitting. and yet for all its brevity, it is also quite profound. Fourth, it is perhaps Clark’s most controversial writing, in which he weighs the Creed of Chalcedon in the balance and finds it, if not entirely wanting, certainly in dire need of renovation. At the time he [Clark] was stricken mortally ill in February 1985, he was writing the present volume, which he titled Concerning the Incarnation. He did not quite finish the book, intending to add a few more paragraphs summarizing his hundred pages of analysis and argumentation, so he asked this writer to complete it for him…I have added only two paragraphs to his words (ix). The additional summary paragraphs written by Robbins fall at the very end of the book and are clearly marked. As for the book’s analysis and argumentation, it is first rate start to finish. Clark brings a logician’s eye to the Creed of Chalcedon and finds much that is lacking. This likely comes as a surprise to many readers. For since its formulation in A.D. 451, Chalcedon has been held up as the final word on the incarnation. But Clark makes a compelling case that the Creed, although helpful in some places, also is beset with serious shortcomings, chief among them being the lack of clear definitions for its principle terms.